Bellevue, WA. 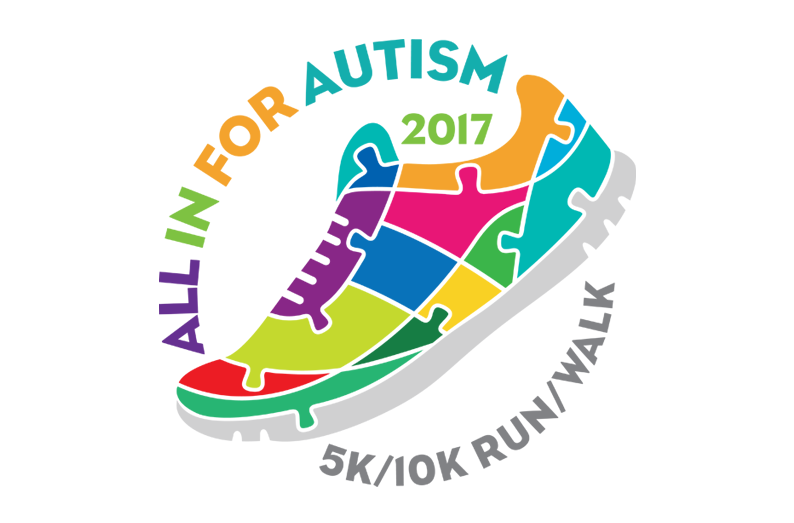 – February 21, 2017 – The Bellevue Breakfast Rotary Club (BBRC) with their partner Kindering are encouraging everyone to seek healthy lifestyles by signing up for the All in for Autism 5K/10K Run/Walk on the 23rd April. In participating in this event, participants will also be helping to raise awareness for autism and other related disorders. Bellevue, WA. 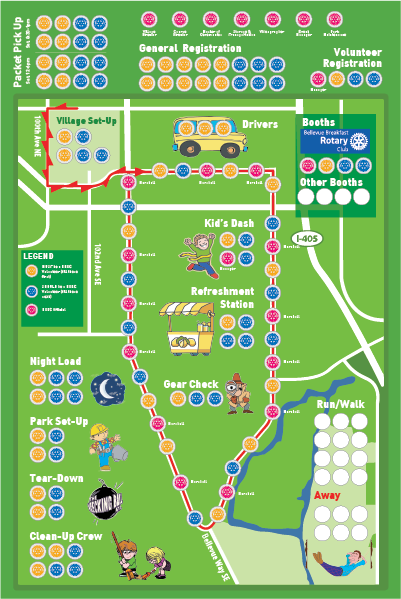 – January 21, 2017 – On April 23, the Bellevue Breakfast Rotary Club (BBRC) will be hosting their All in for Autism annual 5K/10K Walk/Run on a route that takes participants through Bellevue’s streets. In its eleventh year, this event has become Bellevue’s premier running event that caters for enthusiasts and families alike. Funds raised from this event go to: Kindering, as well as other identified agencies, plus Rotary projects that benefit children and families locally and internationally. 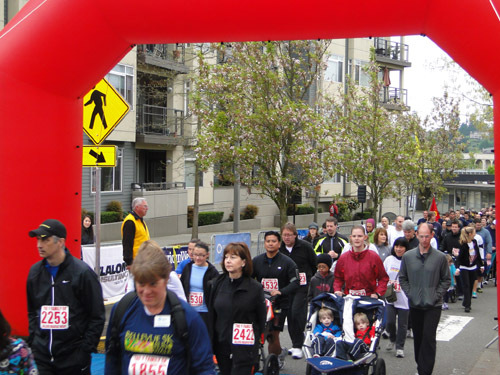 The All in for Autism 5K/10K Run/Walk is a family event brought to you by the Bellevue Breakfast Rotary Club (BBRC) to raise awareness for Autism and other related disorders. The All In for Autism event is put on to show support for families and/or caregivers, affected by this growing neurological condition, and to thank those in our community who work to provide support and success to these individuals, in the hopes of expanding the circle of care. 1 in 68 individuals are affected by autism, and show impairment in the following areas: communication, repetitive patterns of behavior and social skills. The event will offer a challenging 10K (6.22 miles) course, as well as a 5K (3.31 miles) course for the whole family. There is also a non-competitive half-mile Kids’ Dash open to all kids 10 and under. On race day, participants are invited to visit the Race Village to visit event sponsor booths and vendor exhibits after the event for the post-race party. “Bellevue Breakfast Rotary’s commitment to the All in for Autism event allows our club to play its part in recognizing the sterling work carried out by families and caregivers who support those individuals affected by Autism. Our goal is to expand the circle of care through awareness and we call on the community to support us on April 23rd” said Mike Ralph, President of the Bellevue Breakfast Rotary Club. The BBRC membership is dedicated to “service above self” and we derive much toward this goal through the contributions of our dynamic membership and local businesses. Together, let’s make a difference! If you are a runner, volunteer, and/or sponsor, sign up today and show your commitment! Please go to our website www.AllinforAutism.org for more information. Funds raised from this event go to: Kindering, Special Olympics Washington, as well as other identified agencies, plus Rotary projects that benefit children and families locally and internationally. Together, let’s make a difference! If you are a runner, volunteer, and/or sponsor, sign up today and show your commitment! The wrap up for the All in for Autism event that was held on 23rd April, 2017. We had a successful event that led to us raising over $135K from our sponsors and participants. After expenses these funds will be will be disbursed to our partners: Kindering and Special Olympics Washington, plus Rotary projects that benefit children and families locally and internationally.